How do you take a champion to the next level? You add Rum of course! Well maybe not full on rum but the remnants of rum flavor from the barrels themselves. 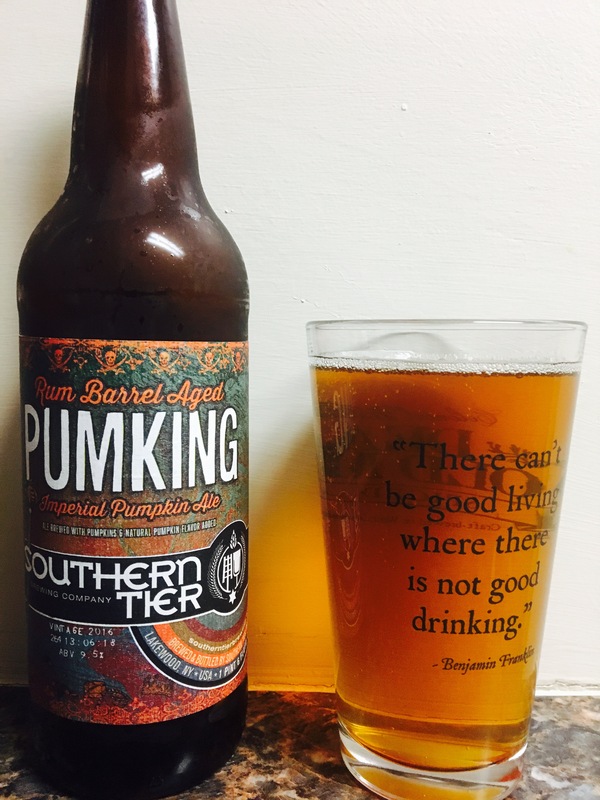 That’s what Southern Tier has done on a limited basis, with their rum barrel aged Pumking. It starts with the smell, which is pumkiny goodness with a hint of wood..oak maybe? Then the color, a deep copper beer. The taste is that great Pumking taste, liquid pumpkin pie..followed quickly by a strong rum aftertaste. Delicious! A strong 9.5% Alc content is always welcome. Because it is limited the price per bottle is pretty high, about $13 for the bottle. Not an everyday purchase for sure..more of a novelty than anything else. If you have the means, try it 4.5 stars.